Krysia Jopek was born in Hartford, Connecticut. She holds four degrees: a B.A. and M.A. in English from the University of Connecticut, an M.Phil. in English from the City University of New York (CUNY) Graduate Center, and an M.F.A in Literary Fiction from Albertus Magnus. She studied in London her sophomore year of college and attended Semester at Sea in Fall of 1988 before teaching English at City College New York (CCNY) from 1991-2001. The combination of her travels, education, and teaching experience informs her worldview and subsequently, her writing, with a global dimension. Her first novel, poetic in nature, Maps and Shadows (Aquila Polonica 2010), won a Silver Benjamin Franklin award in 2011 in the category of Historical Fiction. 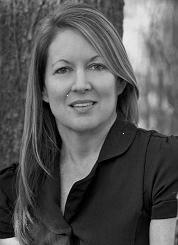 She is currently finishing her second novel, literary fiction, The Glass House of Forgetting. Her chapbook Hourglass Studies (Crisis Chronicles, 2017), a sequence poem in twelve sections, has been nominated for a 2018 Pushcart Prize in Poetry. This small book was influenced by Rainer Maria’s short book, The Book of Hours. She is finalizing her first book-length manuscript, Painting the Rain. She has published poems in various literary journals, including Meta/Phor(e)/Play, Crisis Chronicles Cyber Litmag, Split Rock Review, The Woven Tale Press, Great American Literary Magazine, Gone Lawn 19, Columbia Poetry Review, Fence, Prairie Schooner, Syllogism, The Wallace Stevens Journal, Phoebe, Murmur, Prometheus, and Artists & Influence–as well as reviews of poetry in The American Book Review and a review of literary criticism in The Wallace Stevens Journal. She founded Diaphanous Press in February 2017 to promote–via Diaphanous: a biannual e-journal of literary and visual art–the finest cutting-edge poetry, short fiction (flash and micro-), hybrid, and visual art that she can find. Please see www.diaphanouspress.com to view the inaugural Spring 2017 issue, read the mission statement of poetics and aesthetics, and review submission guidelines. She resides in Connecticut in her Poet’s Cottage with T.S. Eliot (Eliot for short), an amazing rescue dog and her adopted kitty, Marina Snow. You can follow Krysia on facebook on her personal page, her Krysia Jopek Author Page; her dog T.S. on his Eliot Jopek fan page, and Diaphanous on the Diaphanous Press facebook page in addition to www.diaphanouspress.com. Feel free to email her via the Contact page on this website, if so inclined. She loves to hear from readers, former students and colleagues, and other lost and new connections.